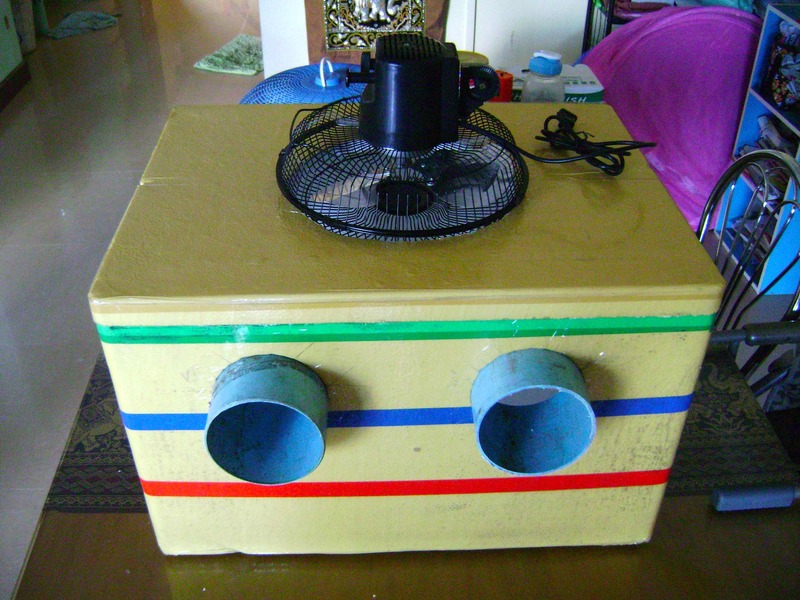 Here is a cheap and easy way to make your own air conditioner. 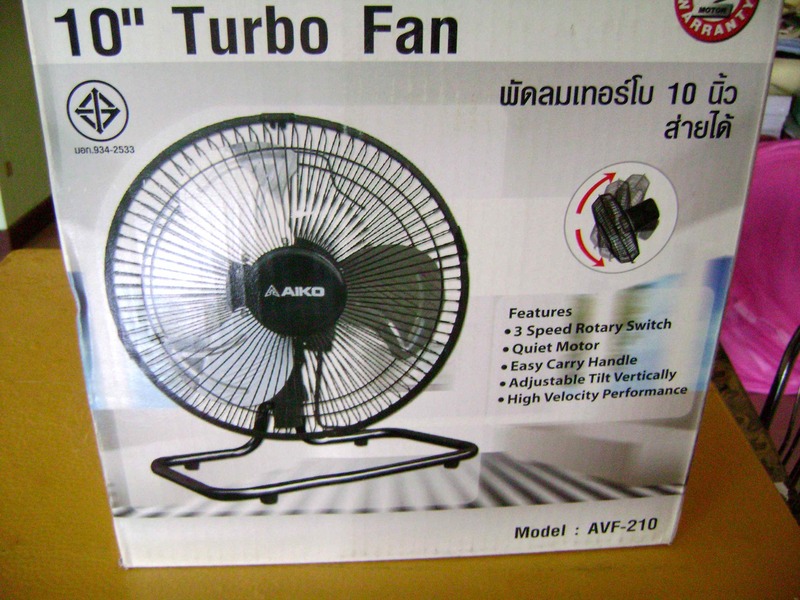 Now of course it’s not going to work nearly as good as a professionally manufactured machine, but if you’re looking for an inexpensive way to cool down a small room, or something to help you sleep in the summer time, this will work pretty good. You need to buy one of those coolers only made of styrofoam, and also a 10″ fan. It’s easiest if you get a fan where the controls are mounted on the fan casing and not the base; that way you can remove the base of the fan. 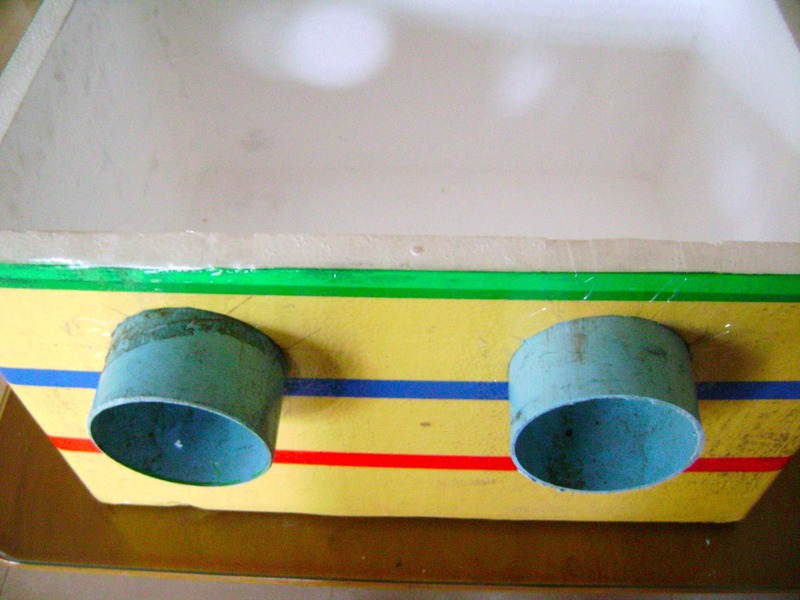 Then find some 3″ or 4″ PVC pipe (you only need about a 8″ long piece). First, cut a hole in the lid of the cooler big enough for your fan to rest on, facing down so that in blows into the cooler. Not too big that the fan falls through obviously. Then cut two holes for two pieces of PVC to stick into, each piece being about 4 inches long. 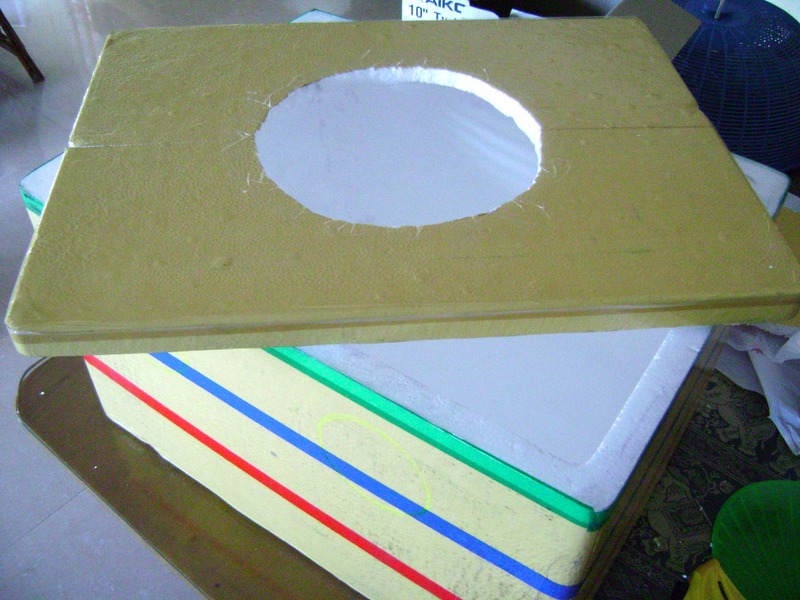 Cut the holes on the same side of the cooler and keep the holes close to the top. Now fill the cooler with ice or frozen water bottles, put the lid on, and set the fan over the hole. That’s it, you’re done. Like I said, this air conditioner will not work nearly as good as a professionally made machine, but it’s much better than just a fan which will only blow hot air in the middle of summer. After I made this air conditioner I put it into a small bedroom and let it run. After an hour I checked on it and the room was noticeably cooler, and I live in Cambodia where at this time of year it’s scorching hot (daily avg. 38°C/100°F)!